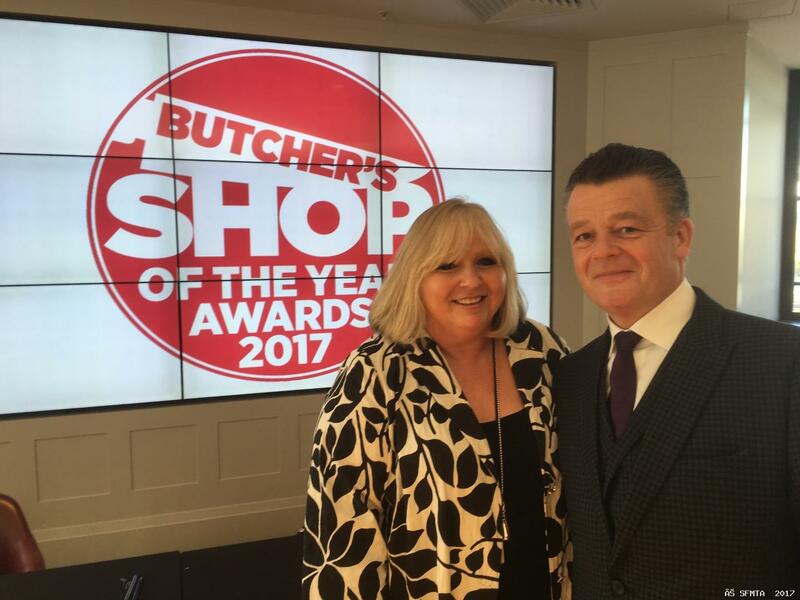 The 2017 Meat Trades Journal`s Butchers Shop of the Year Awards were held today in London. Butchers from all over the UK travelled to the prestigious venue at County Hall on the south bank of the Thames. There was a six strong representation from Scotland. 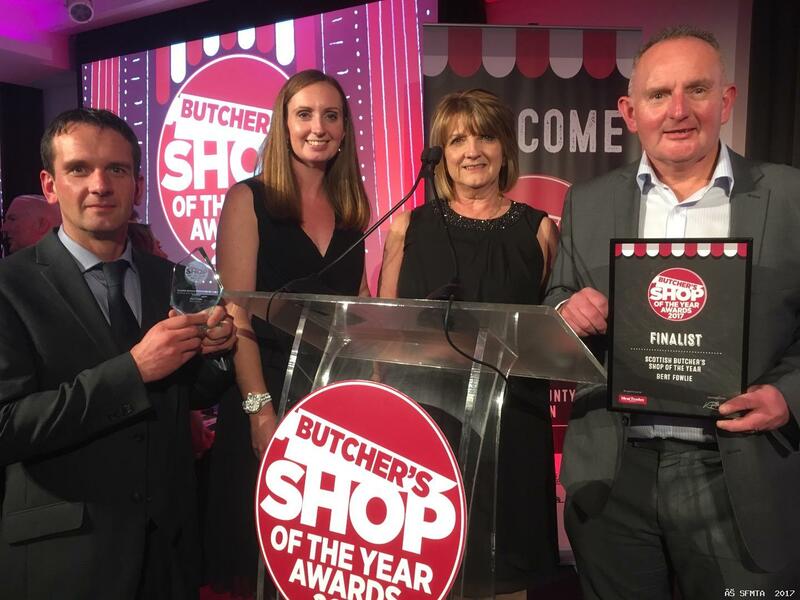 Regional winners were announced first and the Scottish Butchers Shop of the Year was an impressive Aberdeenshire business, Bert Fowlie in the small village of Strichen which lies seven miles south of Fraserburgh. The other Scottish butchers shops who reached the final three were Chapman Butchers in Baillieston, Glasgow (pictured above) and last year`s winner S Collins & Son, Muirhead, Glasgow. There was Scottish representation in two other categories. Two new Scottish butchers shops Burntisland Butchers (pictured above) and Blair Drummond Smiddy (pictured below)were up against Tom Wood Artisan Butchers. Congratulations to Tom Courts Burntisland Butchers who was awarded the national award. Hunters of Kinross (pictured above) were finalists in this category for their local defibrillator project, pipped by the winner Block & Bottle, Gateshead for its unique retail approach.